Find out what’s on your baby’s mind! Every parent keeps their ears open for the magical day when their little one utters his or her first recognizable word. In the meantime, we all relay on the cute cooing or the sweet smile or the loud cry or the desperate scream to understand what he or she is trying to say. 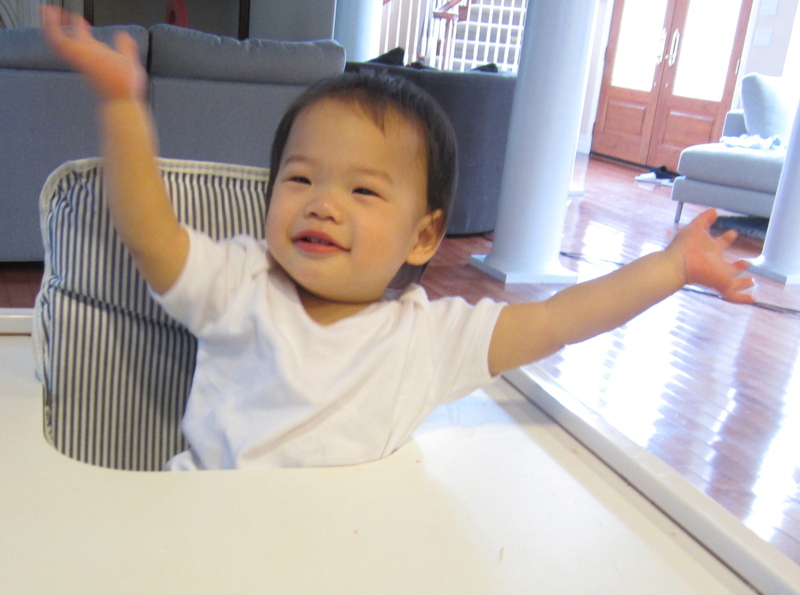 Gestures and nonverbal sounds function as your child’s means of communication. It is his or her first language before the spoken word. 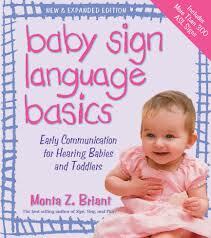 These facial expressions, body movements and sounds are precursors for baby sign language. 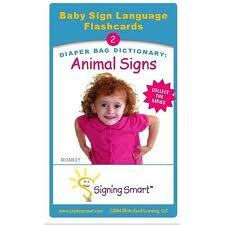 Baby sign is a great way for parents to bond with their children as well as to ease their frustration. It is a perfect introduction to a lifelong communication that occurs between parent and child. I was compelled to write this tonight, despite it being late and me being tired. I had to share my joy as a mom when my dear Micah signed back two words that I would randomly teach him during meal time. I started signing with Micah when he was 3 months old. I knew at that time he wouldn’t respond but I just did it anyway. (Please know that I did not know how to sign prior to having Micah. I just knew the alphabet and the potty sign. I read books, had flash cards and recorded Signing Time on TV so I can watch it during my free time.) But because I wanted him to learn how to communicate with me when the time came, I kept signing words as we went along. We even went to signing classes while we were in Manila. At 8 months, Micah signed milk for the first time. I was very excited! It encouraged me a lot and my sweet husband joined in the signing wagon! He started watching Signing Time with me and he would go through the flash cards while he ate breakfast right before he went to work. From milk to more, light to Twinkle, Twinkle Little Star, from bath and water, to signing 3 Little Ducks as we sang the song, words just kept coming. We found ourselves looking through flash cards and watching Signing Time on Saturdays to learn more signs to keep up with all the words he can learn. Today, as Micah and I went through the fruit aisle at the local grocery store to gather our list of fruits, he started signing apple as I picked one up. He kept signing as I added more into the bag. He popped the banana sign as we walked by the banana stand. He signed want because I didn’t get the bananas. (They were too ripe.) He looked at me as I got strawberries, unfortunately I didn’t know what the sign for strawberry was. I know it was just 2 new signs today but I was so encouraged because sometimes, I do feel like he is not learning anything and I will just wait till he can speak for him to communicate with me. But God in His sweet way encouraged me to keep signing because it is paying off. I came home and tried learning how to sign grapes, avocadoes and strawberries. The veggies will come next. Micah is now able to sign please and thank you, ask for water, he asks us to come, let me know he is sleepy and wants to go to bed, play ball and other random simple words. 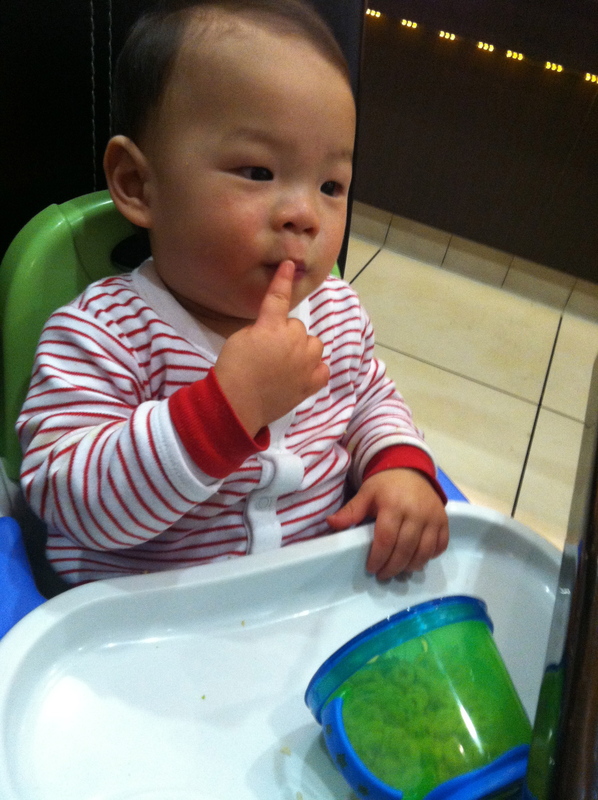 From mealtime, to bath time, to playtime, to bedtime, Micah is able to let us know his needs using the signs he knows. Don’t get me wrong, sometimes, screaming is still involved but equipping him with the appropriate signs allows us to understand him the next time he may need or want something. He politely signs “please water” during meal time when he would like a glass of water or he would say yes or no when he is asked to make a choice. We were in Cabo, Mexico last week for a family vacation and my in-laws were so impressed with how many words Micah could sign. They started learning some and by the end of the week, they were signing too. It was neat to see them want to communicate with their grandson. Would signing interfere with a child’s speech development, a lot of parents ask? No. In fact, the opposite is true. It actually improves your child’s language and vocabulary. It enhances the language and not replace it. Signs allow your child to make the connection between the spoken word and the gesture. In time, your child will say the word or sign it while you say it. As your child’s spoken vocabulary grows, you can stop signing those words. However, you may still want to add signs to the new words you introduce. Although your child may be pronouncing certain words while signing, sometimes only one consonant or one syllable is clear. This is why modeling the sign is still useful—it will help you figure out what he is trying to say! Micah says “wawa” for water. We didn’t know what “wawa” meant but when he signed water right after, we figured it out! Now, we know that “wawa” is water. 1. Be patient and persistent! It takes a few months for your infant to sign his or her first one. *It took me 8 months to get Micah to sign milk and more. 2. Get your child’s attention before you sign. If he is not looking at you, don’t sign. You are wasting your time. 3. 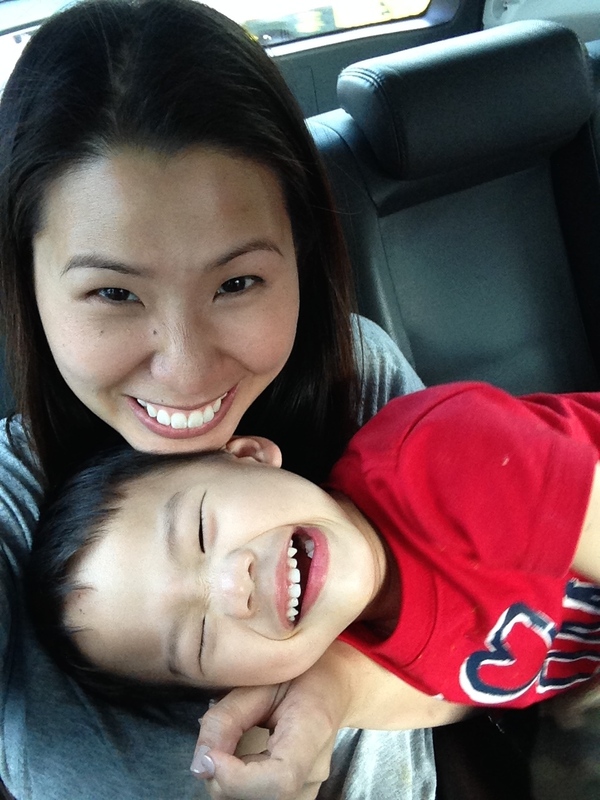 Start with simple words or words your child can relate to: milk and more (It worked for us!) please and thank you, eat, water, light, cheese and bye-bye. You can eventually add to the list as you go on. As you both get more comfortable signing, you can add more words to the list especially those that interest him or her. 4. Pair each spoken word with a sign and REPEAT it! *Each time he asks for something, we sign please and say the word please, now he understands that he has to sign please when he asks for something. (repetition is highly encouraged!) Consistency is key! 5. Pay attention to your child. 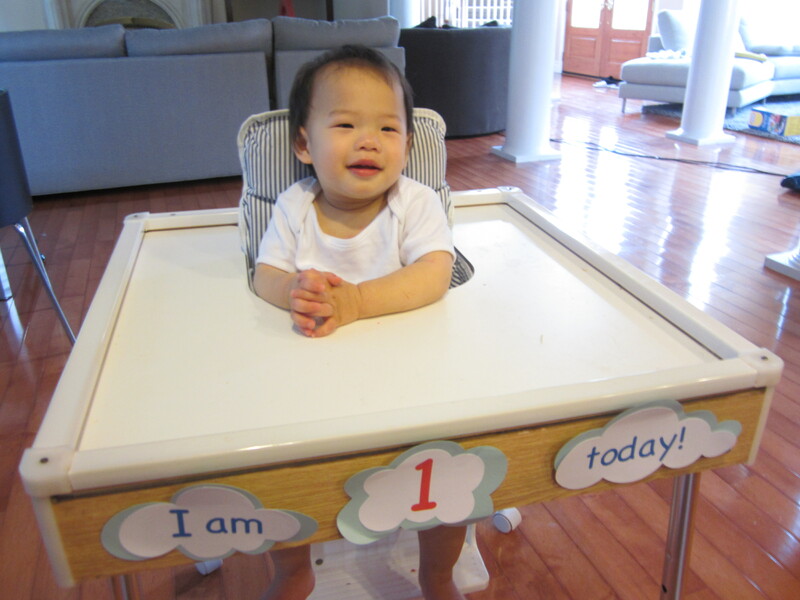 *Sometimes your baby will create a variation of a sign, so just be flexible and follow your baby’s lead. It’s not as important to do the correct sign as it is to convey the correct message. *The sign for water is a W and going to your mouth, Micah’s version is only the pointer finger to his mouth because he can’t form the W with his 3 fingers yet. Once you start becoming familiar with your child’s signs, you will be able to determine what he or she is trying to tell you. 6. Praise your child’s first attempts, this encourages him or her to continue to sign to you! *Because I sign sleep and bed to him as I say, “Micah it’s time to go to sleep in your bed.”, he started signing sleep and bed when he got tired and wanted a nap during the day. He would even sign bed when he sees his bed. Sign with your body, his body, with the doll’s or the teddy! Be creative and laugh while you are signing. Singing helps a lot especially when the words are repetitive. Make it interactive, engaging and exciting! 9. Get the whole family involved! *You don’t have to do this alone! Get everyone in on the signing fun! This will give your child more opportunities to practice! This will help you with getting them to babysit too because they will know what your child needs!) That’s why my in-laws are signing too! 10. Don’t’give up! Don’t get lazy! *Sometimes, you will get discouraged (especially in the beginning) but hang in there! Your baby will sign back to you (eventually). Once your baby masters a few words, he or she will be encouraged to do more and more! It’s a snowball effect of signs and words! It will be worth it! 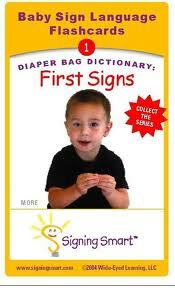 More signs, less frustration for you and your baby! This is my favorite sign! Micah signs pray as we get ready to thank Jesus for all His blessings! His cue to sign pray is when we say “Dear Jesus” or “let’s pray”. Micah has to sign “All Done” before he can be excused from the table. Micah signs “water” as he asks for a glass of water at the dinner table. Our CHEAT SHEET! These are the flash cards my husband uses during breakfast. I have one set upstairs and one set downstairs! Rachel! 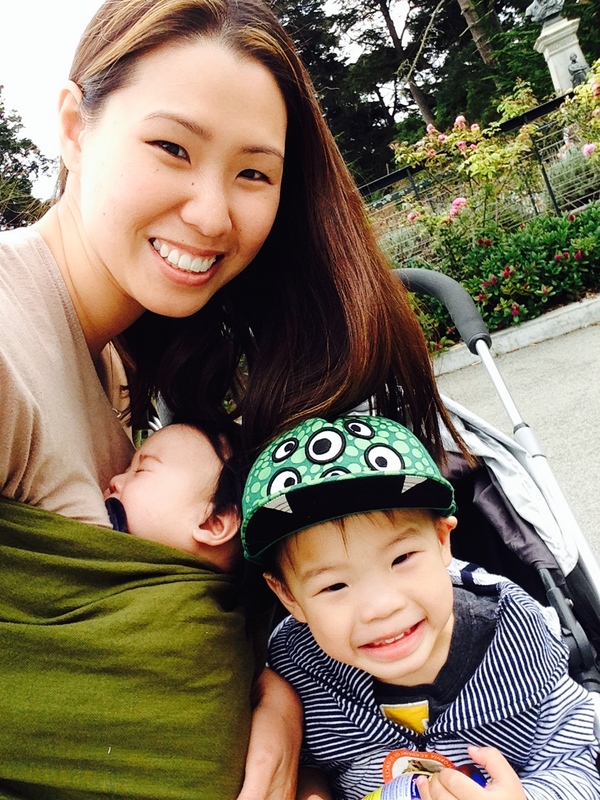 She’s a mom of 2 and the founder of Signing Time! We watch her on TV! I use this book as my sign dictionary during reading time. It has a lot of easy to follow signs for everyday words.